Last year wasn’t the best for the smartphone world, that’s fairly obvious by now. And while shifts between manufacturers mean that some companies achieved positive results, overall there was less to go around. 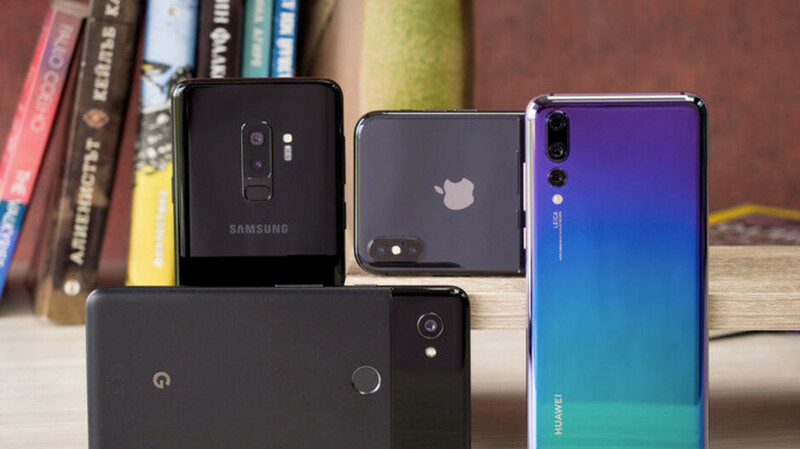 A research done by Counterpoint gives us more details about exactly what transpired in the mobile market over the course of 2018. Starting from the smaller picture, Q4 of 2018 was marked by a 7% decline compared to the same period of 2017, with manufacturers shipping a total of 395 million units during the quarter. Looking at last year as a whole, the drop was “only” 4%, but the results were in the negative for every quarter, making 2018 the first year without a rise in shipments, after the decline first started in Q4 of 2017. That’s 15 consecutive months of market shrinkage. As reasons for these results, specialists point out the fact that consumers are holding to their existing phones longer and the significant drop in sales in China that couldn’t be compensated by emerging markets such as India, Vietnam and Indonesia. But while the overall stats point to a stagnant market, the volatility within it proves that things are far from settled. According to the report, Samsung and Apple delivered 8 and 4% fewer smartphones respectively, which is still far better than LG, which saw a drop of 26% YoY. On the other end of the spectrum are Huawei and Xiaomi, gaining 34 and 26% in units sold, but percentage-wise they’re both beaten by HMD Global, which shipped more than two times more Nokia-branded smartphones in 2018 than in 2017, improving 126%. While that sounds impressive, it translates to 17.5 million units sold, over 10 times less than each of the top 5 manufacturers. In terms of market share, Samsung remains on top with 19%, Apple and Huawei breathing down its neck with 14% each. The second tier is composed of Xiaomi, Oppo and Vivo with around 8% each, followed by the LG and Lenovo with meager 3% of their own. For the first time since its Android era began, Nokia now represents 1% of the market. If HMD’s efforts continue to give such positive results, next year the company might overtake LG and Lenovo. With 5G and some other exciting trends coming in 2019, it will be curious to see how the global market will look at the end of the year. Prices are very high and there is no need to change smartphones every year. If you have to change smartphones, choose a Chinese, cheaper and as good as any other famous manufacturer. How is the Huawei Mate 20 Pro cheaper? I think that the idea that Chinese are cheaper is wrong. They just have relatively competitive midrangers. But for their big flagships they ask big money too. Here in the UK the Mate 20 Pro can be bought for £720. Apples Xs starts at £1000, £280 difference. Which one comes with iOS? I’m happy changing iPhone every year. Iphone’s resale value is the best. I'm sure it is but I'm not willing to even pay half value for a limited operating system like iOS. People are hanging on to their phones longer because their wallets are saying no more. Mine sure the hell are. My wallet skipped the Max (wife’s didn’t), my wallet also skipped the new iPad Pro. And this had better be a helluva year for both Samsung AND Apple, or it’ll skip this year too. I say the market is "stabilizing". And this will become even more apparent the more people get phones that are fast enough for them to keep for years. All good things must come to an end. All things up, must come down. There is equal opportunity towards business prosperity. However, with all things being equal there comes a point where growth will reach a glass ceiling due to being "just another" vendor distributing Android. Huawei only created a product around Android and not the the other way around, like Apple did. It is still Google's open source free product as its not Huawei. In reality they are only taking away marketshare from other Android vendors, and not Apple. People who are Android buyers are looking to buy Android phones and have no intention of buying an iPhone. Its going to keep going down too if they don't start dropping prices. I think it’s amazing how well HMD has been doing with their Nokia branded smartphones, in such a relatively short time. Great build quality, fast OS and security monthly updates are just a few of the things that are helping HMD continue to grow. And now that they are making a push into the U.S. by getting their handsets sold by some carriers, I think we will see faster growth. NOKIA is BACK. Back in Business.